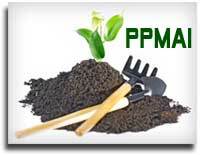 Process Plant and Machinery Association of India (PPMAI) was established on March 31, in the year 1964, which is an Association of Companies that provide Systems, Equipment and Services for establishing Process Plants. It is a Private Sector (Non Government) "not for profit" organisation registered under the relevant Indian Laws. The organisation is led and managed by the Industry. Being a one strong, credible voice on behalf of the Process Plant and Machinery Industry. Leading the industry, while focusing its energies on issues and opportunities. Having a sense of urgency in responding to member's needs and requirements, thus providing them with a significant competitive advantage. Ensuring value through quality performance, achievement of results and enhancements of the industry's image. Providing an environment which encourages staff development, team spirit and mutual respect. Interface with Govt and media in order to present the prospective of the engineering and process plant manufacturing services offered by it's members. Promote and encourage all the members through presentation and awards for their achievements. Networking with International bodies mainly with a view to gain better visibility of it's members in overseas market / industries. Convene meeting and discussions to evaluate policies having direct or indirect bearing on the business of the members. Give suggestion / communication to the Govt./ policy makers on the issues and concerns. Sponsor and participate in all the events, workshop / seminars, exhibition, delegation and promotional activities related to members business. Conduct training programs for members to update and improve the technical and managerial skills. The Association draws its membership from all types of companies Some companies offer multiple services and thus fall under more than one classification. The Indian companies have the following general attributes:Large pool of managerial, engineers and technical manpower with work experience in different countries in the world and with English language proficiency. IT skills and proficiency in use of latest design and data management and project management software. Excellent understanding of International Codes. Workshops possessing International approvals, stamps and markings. Capability of performing under difficult environmental and working conditions. Globally competent and competitive in terms of price, quality and delivery. Equipment manufacturing companies, Fabricators and Component Manufacturers. Design, Engineering , Project Management and Quality Assurance Consultants. Engineering, Procurement and Construction (EPC) Contractors. To promote and protect the interests of the Indian Process Plant Industry. To project the capabilities of its members at National and International levels. To provide a platform for exchange of information and ideas amongst its members and to foster closer co-operation between them. To provide a platform to collectively communicate and exchange information and ideas with the customer group of the members. To organize events and training programs to assist the industry in enhancing its skills and capabilities. To collect and disseminate statistics and information relevant to business of its members. To communicate with Chambers of Commerce and national and international developmental institutions to further the objectives of the association.